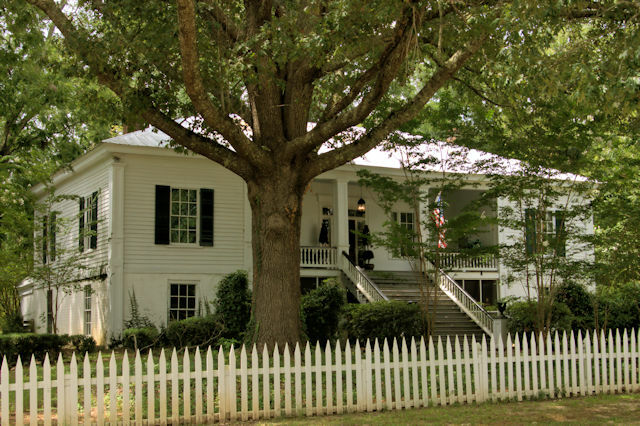 Ivey Duggan, who lived in this house, was the first person in Georgia to receive a teaching license. Ivy Duggan (my double great grandfather) was not the first to receive a teaching certificate in Georgia. This was verified by the Department of Education. However, Ivy proved to be a prominent and well-loved professor throughout his entire adult life. You may be interested in knowing as well, that the pictured home received many unwelcomed Union soldiers in it, in December 1864. I have Susan Reynolds (Ivy Duggan’s wife) letter that describes that visit to her home and to the town. Frances- Thanks for sharing this information. I will update the post soon. I am very interested in seeing Susan’s letter concerning this time period and Union soldiers in Linton. My email is hellostellasmith@gmail.com. Frances, I am marketing the Ivey Duggan house for the current home owner. Would love to have a copy of the letter to include in the history of the house.